A mix of clouds and sun. High 69F. Winds NE at 10 to 15 mph..
Notre Dame's Jessica Shepard, an ex-Husker and former Lincoln Southeast and Fremont prep star, celebrates by cutting down the net after defeating Mississippi State in the championship of the 2018 NCAA women's basketball tournament Sunday in Columbus, Ohio. Notre Dame won 61-58. 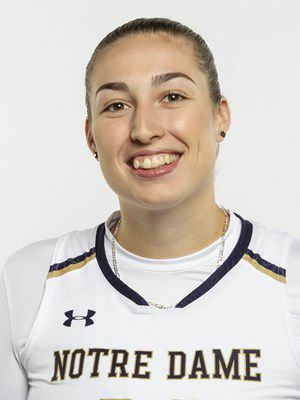 Notre Dame's Jessica Shepard, a former Husker and Fremont standout, was the fourth pick of the second round in Wednesday's WNBA Draft, going to the Minnesota Lynx. Shepard averaged 16.7 points and 10.3 rebounds in her senior season as the 2018 national champion Irish lost to Baylor in the NCAA championship game Sunday. She was a member of the All-Final Four Team and first-team All-ACC. Shepard was also a two-time All-Big Ten player and Big Ten freshman of the year at Nebraska before transferring after her sophomore season. She also played at Lincoln Southeast in high school before her family moved to Fremont. A 6-foot-4 forward, Shepard averaged 17.3 points and 9.2 rebounds for her career, exceeding 2,000 points and 1,000 rebounds. The Lynx, who have won four WNBA championships, went 18-16 last season and lost in the first round of the playoffs to Los Angeles.